Gov. 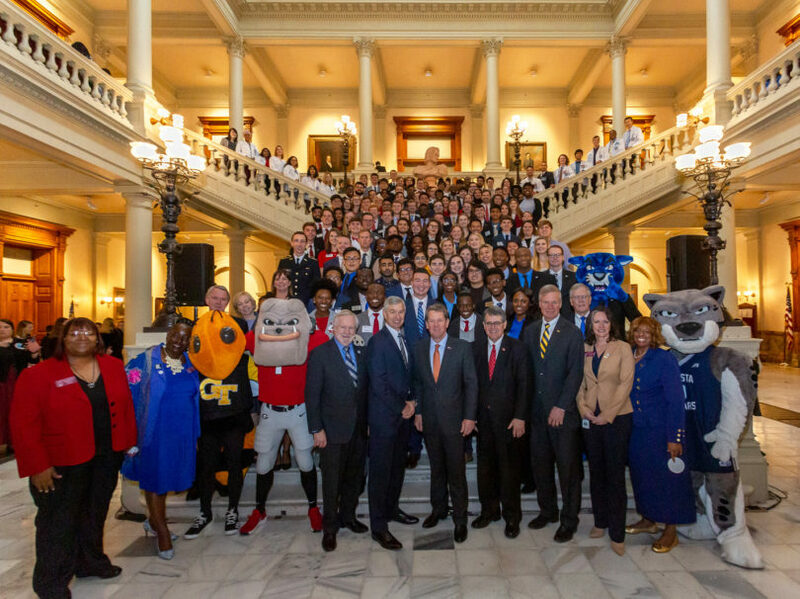 Brian Kemp and UGA President Jere W. Morehead gathered with students and officials from UGA — in an annual event known as Dawgs at the Dome — as well as those from Georgia Tech and Augusta University in the Capitol rotunda on Feb. 12. 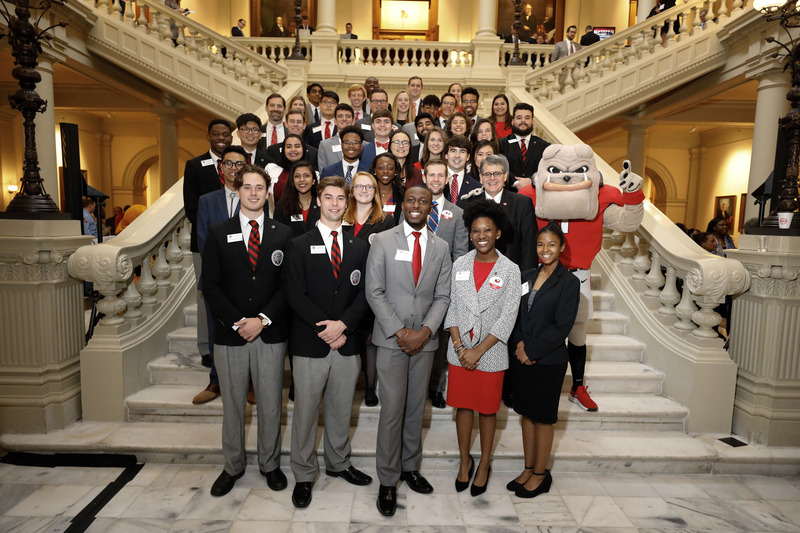 Students from the University of Georgia visited the Georgia state Capitol on Tuesday for the sixth annual Dawgs at the Dome. The event, a collaboration between the Student Government Association and the Office of Government Relations, allows students to spend a day interacting with state lawmakers and showcases the university’s many contributions to the state. Legislators, staff and lobbyists joined UGA students for a breakfast reception, and alumnus Gov. Brian Kemp joined the group for a photograph. The students were welcomed to the Capitol by Senate Higher Education Chairman Lindsey Tippins and by House Higher Education Chairman Chuck Martin. “Dawgs at the Dome provides an excellent opportunity for UGA students to interact face-to-face with legislators and UGA alumni serving the state under the gold dome,” said Griff Doyle, vice president for government relations.